The biggest surprise of the launch of U2’s new album isn’t the way it was released—it’s how good the songs are. It has been five long years since No Line On The Horizon, an album with some great moments but one which also revealed a band in artistic decline. In those five years, they knew they were one more misstep away from irrelevance. The reports weren’t hopeful: a new producer here, a scrapped album concept there. They seemed “stuck in a moment that they can’t get out of”, finally crushed under the weight of their own ponderousness. So on September 9, 2014, when the band surprisingly released Songs of Innocence for free at Apple’s gargantuan iPhone 6 product launch, I was only sure of one thing: the music would be worth the price I paid for it. This theme of tension—between Calvary’s victory and a self-defeating world—is as familiar for U2 as the sound of Edge’s guitar riffs, but the personal intimacy in which it is couched is new. It’s true, we don’t have to pay for the album, but now we know that it was not free. It came at great cost, not just to some line item in Apple Corp’s budget, but also to the lyricist who has opened his broken heart to us all. Free to us but costly to him. Now that’s a familiar sound. One postscript thought: These songs are going to sound simply amazing live. Can’t wait for the tour. Nathan – great to read you again! Hope all is well with the fam. I’m wondering why we see so much dismissive language about what might be called political in U2’s body of work. Here: political “megaphone,” “prophetic diatribe,” “messiah complex,” and “ponderousness” used to talk about an artist who might at times have spoken with passion about the world “out there.” This is contrasted with “holy moments,” “personal and vulnerable,” “intimacy,” “tenderness.” Do we really only welcome an artist’s thoughts about his own failures and inner life? Is it unneccessary or unexpected for an artist who grew up in a neighborhood where car bombs regularly murdered and maimed to turn his gaze outward as well as inward on his own heart? Not to mention what might enter one’s lyrics after a few tours in Africa. Can’t we welcome both sorts of insight? Perhaps a fair critique can be made about how the political is engaged, but I hope we don’t dismiss it all. The political may also be “a cry of the heart,” after all. Tanya, thank you for your feedback. You’re right, the article seems to favor Bono’s vulnerabilities while dismissing his prophetic voice. I think the reason I took that angle is because I have found his last couple albums lacking in the relatability department. Please understand that I am long-time fan of Bono and his prophetic voice. I consider him a modern day Isaiah, the artistic equivalent of a Walter Brueggemann. So, I have a very high appreciation and respect for his prophetic voice, his megaphone if you will. But in his elder era, I think he has reduced himself to platitudes and catch phrases, lacking the emotional punch of his earlier years. To me, the megaphone is as powerful as the tenderness of the heart speaking into it. So this new album is a wonderful and refreshing return to earlier innocence and earnestness. I agree, Nathan, these songs will rock live — much better than NLOTH songs did, if they ever tried. One of the differences is the fact that I actually want to listen to this album over again after hearing it the first time. What I enjoy about this record is how they brilliantly reiterate their journey not just through telling the story lyrically, but they also reference previous musical material — sometimes not so subtly. I assume it’s more than just a lazy day in the studio, but it was more like a tip of the hat to the past. A recognition of the musical journey. The familiar licks — re-contextualized in a new song — make for a fresh perspective on the past. The beginning of Iris references Ultra Violet. Iris sounds like a combination of City of Blinding Lights, Yahweh, Wire, and Magnificent, I’ll Go Crazy If I Don’t Go Crazy Tonight… several more throwbacks are present. So far, I like it. Musical references to other bands and artists are also not so subtle. References to The Clash, Romones, Beach Boys, Devo… probably more. But they can actually pull it off without sounding like they’re being copy cats. I love the album too, but the band was “in artistic decline” with NLOTH? That’s the album where Bono rediscovered his literary poetic skills that had mostly been missing post-Zooropa, and where the band rediscovered its experimentalism that had largely been missing post-POP. With NLOTH, they went into popular decline again, yes, but gained in artistry. It’s too bad that we never got Songs of Ascent. 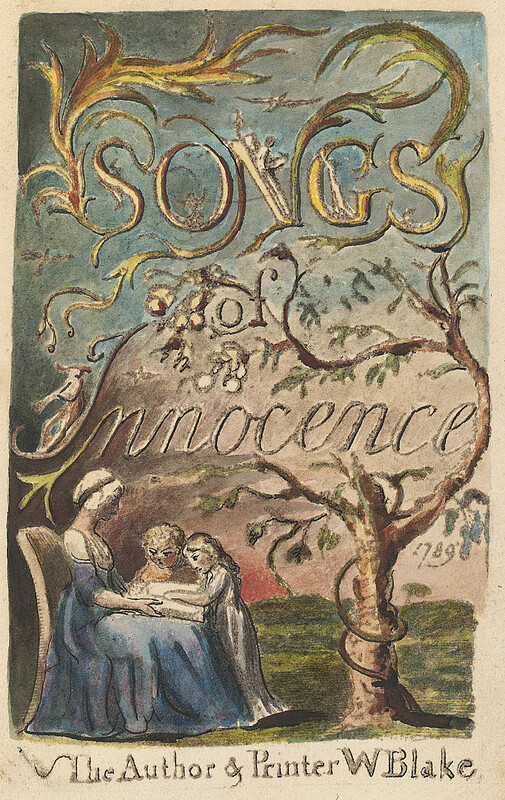 Songs of Innocence gives us back the U2 of emotions huge enough to fill the entire universe, with the newer confessional aspect you mention. It is indeed an amazing album in its own way.